“Precious Memories” fundraiser, 3 to 5 p.m., Saturday, March 11, at Norwood United Methodist Church, 23 Colegate Drive, Marietta; to raise money for “The Haven Memory Unit” activity fund at Harmar Place and is being sponsored by “Friends of Penny”; complimentary sandwiches, fruit, salsa and chips, sweets, coffee bar, juice and sparkling water; 50/50 drawing, white elephant silent auction and, beginning at 4 p.m., an hour of Christian music by The Branches; an anonymous donor will match $10 donations; donations taken at the door or call 740-336-1184; parking is in the alley behind the church. Soup, sandwich and dessert, 11 a.m. to 6 p.m., March 11, at Second Congregational Church, 1855 Greene St., Marietta (1/4 mile past Broughton on Ohio 26); a fundraiser for the church; free will offering; public invited. Wayside Vendor Fair, 10 a.m. to 3 p.m., Saturday, March 18 — a fun Saturday of shopping local and small businesses; proceeds benefit the Wayside Youth Mission Team; admission is $3/person and there will be free parking; Wayside youth will provide concessions; vendors include Pink Zebra, Wildtree, Tastefully Simple, Scentsy, itWorks!, LulaRoe, Thirty One, Xtreme Healthy Living, Tupperware, DoTerra, Plexus, Style Dots, Crafters and more. Reno Memorial Christian Church hosting “Friends Day,” Sunday, March 19; Taj Rohr will perform during worship service and Teddy Tackett will deliver the weekly message; “free will” Italian dinner will follow in the fellowship hall; services will begin at 10 a.m.
“On the Road to the Cross,” Lenten bible study by Rob Burkhart, Sunday evenings from 7 to 8:30 p.m., in the fellowship hall at Gilman United Methodist Church, 312 Gilman Ave., Marietta; from Feb. 19 through April 9 (eight weeks); lead by Jim Zoller; cost: $10 for the book. Worship services, 8 a.m. and 10:30 a.m. at Christ United Methodist Church, 301 Wooster St., Marietta. Pastor Cheryl Arnold will be speaking on John 3:1-17, where Jesus explains to Nicodemus that we must be born again; both services include children’s sermon, and childcare; the 10:30 service also includes an anthem by the Sanctuary Choir and children’s church for elementary age children; for more information, 740-373-1512 or visit www.christumcmarietta.org. Youth group, 5:30 p.m., Sundays, at Christ United Methodist Church, 301 Wooster St., Marietta; all students grades 6-12 are invited for Bible discussion, worship, food, and fun every Sunday at 5:30 p.m.; for more information, 740-373-1512 or visit www.christumcmarietta.org. Good News from Christ, radio program, 10 a.m. (5 minutes earlier than before), every Sunday, on WMOA-1490 AM; 9 a.m. on WJAW-FM, 100.9; 9:30 a.m. on WJAW-AM, 630; and on the church website: www.christumcmarietta.org. Worship services, 10:30 a.m., Sundays, at Gilman United Methodist Church, 312 Gilman Ave., Marietta. Worship services, at St. Luke’s Lutheran Church, 401 Scammel St., Marietta, includes service of the word at 8:15 a.m. and liturgical service at 10:30 a.m.; adult and children’s Sunday school is at 9:30 a.m. Morning services, 10:30 a.m., every Sunday, at River of Life Assembly of God, 200 Franklin St., Marietta, 10:30 a.m.; children’s ministry, 10:30 a.m.; 740-374-8967. Worship services, 11 a.m., every Sunday, at Sand Hill United Methodist Church, 1295 Old River Road, Williamstown. Services, at Brownsville Church of Christ — Sunday services, morning bible study at 9:45 a.m.; morning worship services at 10:30 a.m.; and evening worship service at 6:30 p.m.; also, 7:30 p.m. Monday through Friday; church is located at 42050 Trail Run Road, New Matamoras. Services, every Sunday morning at Reno Memorial Christian Church on Ohio 7 in Reno; Bible study is at 9:30 a.m with worship services beginning at 10:30 a.m.
Sunday school, 9:45 a.m., and holiness meeting (worship), 11 a.m., Sundays, The Salvation Army of Marietta, 136 Front St.; 740-373-4043. Sunday School for all ages, 9:15 a.m., at Christ United Methodist Church, 301 Wooster St., Marietta; adults can choose between four adult classes studying various topics; classes are also available by age for high school, middle school, elementary, and preschool; for more information, 740-373-1512 or visit www.christumcmarietta.org. God’s Girls Bible Study, 5 p.m., Sundays, at Christ United Methodist Church, 301 Wooster St., Marietta, a women’s Bible study and discussion group; studying Beth Moore’s To Live is Christ: The Life and Ministry of Paul; for more information, 740-373-1512 or visit www.christumcmarietta.org. Bible study, 7 p.m., Mondays, at St. Luke’s Lutheran Church, 401 Scammel St., Marietta; meets in the fellowship hall; everyone welcome; 740-373-1716. “A Bead and a Prayer: a Beginner’s Guide to Protestant Prayer Beads,” Lenten bible study by Kristen E. Vincent, Tuesday mornings from 9:30 to 11 a.m., in the lounge off the sanctuary at Gilman; March 7 through April 4 (five weeks); led by Judy Allen and Kathy Wentz; cost: $20 ($10 for the book, and $10 for prayer beads kit). 13 weekly GriefShare seminars, began Tuesday, Feb. 21, from 9:30 to 11:30 a.m. in the parish hall (social room) of St. Paul’s Evangelical Church, 401 Fifth St., Marietta; the materials specifically address topics and issues for those who are grieving the death of a loved one; content is Christ-centered, biblical, and non-denominational; presented three phased: Video seminar, group discussion and personal workbook; pre-registration is recommended, however an “open door” policy is honored; you may participate at any time during the 13 weeks; for more information and pre-registration: 740-585-2087 or 740-336-9749. Community Ukulele Choir Rehearsal, 7 p.m., Tuesdays, at Christ United Methodist Church, 301 Wooster St., Marietta; all experience levels are welcome, ages fourth grade through senior citizen; for more information, 740-373-1512 or visit www.christumcmarietta.org. Pickleball, 1 p.m. every Tuesday and 6 p.m. every Friday, at Wayside United Methodist Church, 3001 Grand Central Ave. in Vienna, W.Va.
Bible study, 9:30 a.m., Tuesday mornings, at St. Luke’s Lutheran Church, 401 Scammel St., Marietta, in fellowship hall; everyone welcome; 740-373-1716. Bible study, 7 p.m., Tuesdays, The Salvation Army of Marietta, 136 Front St.; Home League (women’s fellowship), 6 p.m. Tuesdays; and Men’s Club (men’s fellowship), 6 p.m., Tuesdays; 740-373-4043. Lent and Holy Week schedule, for St. Luke’s Lutheran Church, 401 Scammel St., Marietta: Wednesday Lenten Services (March 15, 22, 29, and April 5) are at 6:30 p.m.; Palm Sunday, April 9, 8:15 and 10:30 a.m. services (communion at both); Maundy Thursday, April 13, 6:30 p.m. service (communion); Good Friday, April 14, 6:30 p.m. service; Easter Sunday, April 16, 8:15 and 10:30 services (communion at both); everyone is welcome. Awana program at Twin Rivers Baptist Church, 110 D.A.V. Road, Whipple (300 yards north of Exit 6 off Interstate 77) — classes are held from 7 to 8:20 p.m. each Wednesday from September through May, throughout the school year, for boys and girls through the sixth grade; each evening’s session includes lesson time, Bible verse memorization, snacks and games; Awana classes are conducted for “Cubbies,” for preschoolers; “Sparks,” for children in kindergarten through the second grade; and “Truth & Training,” for students in third through sixth grades; a bus route is available to pick up boys and girls for the Awana program; for more information, 740-376-0440. Wednesday night Ladies Bible Study, begins at 6:45 p.m, at Reno Memorial Christian Church on Ohio 7 in Reno; all ladies are welcome. Teen class, for students in grades seven through 12, and an adult Bible class, 7 p.m., each Wednesday, at Twin Rivers Baptist Church, 110 D.A.V. 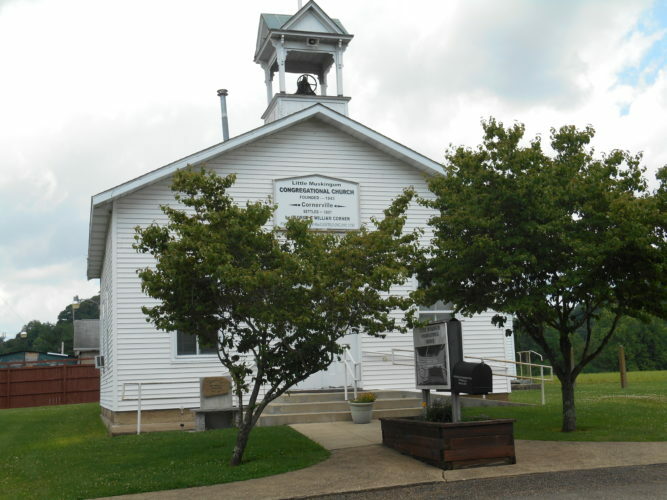 Road, Whipple; for more information, 740-376-0440. Holy communion service, noon, Wednesdays, Christ United Methodist Church, 301 Wooster St., Marietta; for more information, 740-373-1512; during inclement weather, service will be cancelled if Marietta City Schools are closed. W.O.W. (Women of the Word), ladies bible study, 7 p.m., Wednesdays, at First Church of the Nazarene, 100 Mill Creek Road, Marietta; starting in September, a new study with the book “Ruth”; call the church and order a book to participate; all women welcome, 740-373-5406 or e-mail mfcofnaz@sbcglobal.net. Children’s Department at Marietta First Church of the Nazarene, at 100 Mill Creek Road, meets at 7 p.m. each Wednesday for bible story, games/craft, and snacks; children ages 3 years old through the sixth grade welcome to join; nursery provided for children up to 3 years of age for those attending a bible study or service; for more information, Judy Phillips at 740-373-5406 or e-mail mfckids@sbcglobal.net. Bible study, 2 p.m., Wednesdays, at River of Life Assembly of God, 200 Franklin St., Marietta; 740-374-8967. Bible study, 10 a.m. and 7 p.m., Wednesdays, Sand Hill United Methodist Church, 1295 Old River Road, Williamstown. Lenten Brown Bag Book Study: Creed — What Christians Believe and Why, by Adam Hamilton, a six-week study of the Apostles Creed and the Scriptures on which they are based; held Thursdays at the lunch hour, noon to 1 p.m., March 2 through April 6, at Christ United Methodist Church, 301 Wooster St., Marietta; all are welcome to bring their lunch and join in the discussions; books are available through the church office for $13; for more information, 740-373-1512 or visit www.christumcmarietta.org. Three Lenten Bible Studies on “The Screwtape Letters,” written by C. S. Lewis, from Jan. 26 through April 6 (12 weeks), from 3 to 4:30 p.m., in the fellowship hall at Gilman United Methodist Church, 312 Gilman Ave.; led by Judy Spahr and Pastor Diann; cost is $10 for the book; sign-up will be through Jan. 15 at the church or call 740-373-6478. GriefShare, help and encouragement after the death of a loved one; GriefShare is a special weekly seminar and support group designed to help rebuild lives; facilitators, Anita White, Lucy Scott and Vivian Brown; 740-373-8643 or email: shoeboxlady@suddenlink.net; 12:30 p.m. to 2 p.m., Thursdays from Feb. 16 to May 11, at Gilman United Methodist Church (fellowship hall), 312 Gilman Ave., Marietta. Weekly bible study, 10 a.m., Thursdays, in office complex at Crown of Life Lutheran Church, Third and Wooster streets; led by Pastor Clinton Kreuziger. Bible study, 7 p.m., Thursdays, at River of Life Assembly of God, 200 Franklin St., Marietta; 740-374-8967. Lenten fish fries, 5 to 7 p.m., Fridays, from March 3 through April 7, at St. Mary Catholic School; new this year is a drive-thru service; drive-thru and choose a baked or fried fish dinner; fried fish dinners include fries, cole slaw, green beans and roll. Baked fish dinners include baked potato, cole slaw, green beans and roll. There are no call-ahead phone orders will be taken; for special orders, park and order inside; to help with traffic flow, enter the alley from Montgomery Street; adult dinners are $9, senior dinners (60+) are $8.50, college students (w/ID), $8, and children age 10 and under is $5; take out meals are $8. A la carte items — fish sandwich, $3.50; pizza (one slice), $2.50; nachos with cheese, $1.50; dessert, $1. The Religion calendar appears each Saturday on the Focus on Faith page. Information to appear in the Religion calendar can be e-mailed to cheiby@mariettatimes.com; submitted through the Virtual Newsroom at The Times’ website. , www.MariettaTimes.com (click on “Submit News”); mailed to The Marietta Times, 700 Channel Lane, Marietta, Ohio, 45750, Attention: Claire Heiby; or faxed to 740-376-5475. For questions, call Heiby at 740-373-2121, ext. 537. Deadline for information to be received is noon Monday for that Saturday’s edition.